The ruling awarded compensation to 152 of the 175 plaintiffs, of whom 50 had evacuated voluntarily and 125 were forced to do so. They had each demanded ¥350,000 per month and compensation of ¥20 million for psychological damage due to “the loss of their hometown” in addition to compensation already paid by Tepco. The ruling was the eighth among approximately 30 similar suits filed by more than 10,000 evacuees. Tokyo Electric Power Co. ignored reports on fires and other problems from its nuclear power plants and didn’t even bother to share the information in-house or consider precautionary measures, the nuclear watchdog revealed. The Nuclear Regulation Authority decided Feb. 13 it will investigate the failure by TEPCO’s headquarters to tackle the problems reported by its three facilities: the Kashiwazaki-Kariwa nuclear plant in Niigata Prefecture and the Fukushima No. 1 and No. 2 nuclear plants, both in Fukushima Prefecture. NRA safety inspectors visited the Fukushima No. 2 nuclear plant from November through December last year. They found that the division at company headquarters in charge of dealing with safety issues and sharing that information neglected reports of four problems that had occurred at the plant. They cited 17 cases at the Kashiwazaki-Kariwa nuclear plant; five cases at the Fukushima No. 1 nuclear plant and seven problems at the headquarters itself. Tokyo Electric Power Co. (TEPCO) asked a subsidiary in 2008 to underestimate the scale of tsunami that could hit the Fukushima No. 1 Nuclear Power Plant before tsunami devastated the facility in March 2011, a subsidiary employee told a court. The worker at Tokyo Electric Power Services Co. (TEPSCO) appeared as a witness at the hearing of three former TEPCO executives under indictment on charges of professional negligence resulting in death and injury at the Tokyo District Court on Feb. 28. The man played a key role in TEPSCO’s estimate of the scale of possible tsunami, which could hit the premises of the plant, between 2007 and 2008. Based on a long-term evaluation by the government’s Headquarters for Earthquake Research Promotion, the employee estimated that tsunami up to 15.7 meters high could hit the atomic power station. In its evaluation, the quake research headquarters had warned that a massive tsunami could occur off the Sanriku region including Fukushima Prefecture. The area was later devastated by a massive tsunami triggered by the March 11, 2011 Great East Japan Earthquake, causing the Fukushima nuclear crisis. In his testimony, the employee told the court that he briefed TEPCO headquarters of the outcome of TEPSCO’s estimate of possible tsunami in March 2008. An employee at TEPCO headquarters subsequently asked the witness whether the estimated scale of possible tsunami could be lowered by changing the calculation method. In response, the employee recalculated the possible tsunami based on different movements of tsunami waves he assumed, but he obtained an all but identical figure, the employee told the court hearing. He added that in the end, the prediction was not accepted as the utility’s estimate of possible tsunami hitting the power plant. During the hearing, court-appointed lawyers, acting as prosecutors to indict the three former TEPCO executives, said that TEPCO headquarters considered measures to protect the Fukushima No. 1 nuclear complex from tsunami after being briefed of the outcome of TEPSCO’s tsunami estimate. Nevertheless, the lawyers asserted that those who were on the company’s board at the time postponed drawing up tsunami countermeasures by deciding to commission the Japan Society of Civil Engineers to look into the matter, eventually opening the door to the nuclear crisis. Public prosecutors had decided not to indict the three former TEPCO executives. However, under the Act on Committee for Inquest of Prosecution, court-appointed lawyers prosecuted them after a prosecution inquest panel comprising members selected from among the public concluded twice that the three deserved indictment. This combination of pictures shows (from left) former Tokyo Electric Power Co. chairman Tsunehisa Katsumata, former vice presidents of the company Ichiro Takekuro and Sakae Muto. Three former executives at the Tokyo Electric Power Company (TEPCO) are due to stand trial at Tokyo District Court Friday, in connection with the 2011 Fukushima nuclear disaster. The trio face criminal charges following three nuclear meltdowns after the emergency generators needed to cool the nuclear reactors malfunctioned following a 9.1 magnitude earthquake and tsunami in Tohoku, Japan. The ensuing nuclear catastrophe—the biggest since Chernobyl in 1986—led thousands of people to flee their homes and resulted in the death of more than 40 hospitalized patients who were evacuated from the Fukushima area, in addition to the estimated 22,000 people killed or unaccounted for after the country’s largest earthquake. The hearing comes one year after former TEPCO chairman, Tsunehisa Katsumata, 77, and the two former vice presidents Sakae Muto 66, and Ichiro Takekuro, 71 were charged with professional negligence leading to injury or death. They have all pleaded not guilty ahead of the trial. “We hope the trial will shed light on the responsibility for this accident. The accident hasn’t been resolved. There is nuclear waste from the cleanup efforts everywhere in Fukushima, and there are still many unresolved problems,” Ruiko Muto, who heads the group that pushed for the trial, told The Japan Times. In 2008, TEPCO conducted an internal study, simulating the events of a 52-foot-high wave and a 8.3 magnitude quake, The Japan Times reported. The extent of the damage suggested that executives ignored the findings, as the wave that hit the nuclear plant reached 45 feet. Following the disaster, TEPCO was required to pump tons of water into the plant to cool the reactors. The government spent $15 billion collecting radioactive topsoil from the site, and residents are now, after six years, being encouraged to return home. Decommissioning the power plant is expected to take four decades. In February, sievert readings of 530 Sv were recorded in reactor No. 2: In context, 1 Sv is enough to cause radiation sickness, while 5 Sv would kill half those exposed after one month. Three former Tokyo Electric Power Co. executives are set to stand trial this week on the only criminal charges laid in connection to the 2011 Fukushima No. 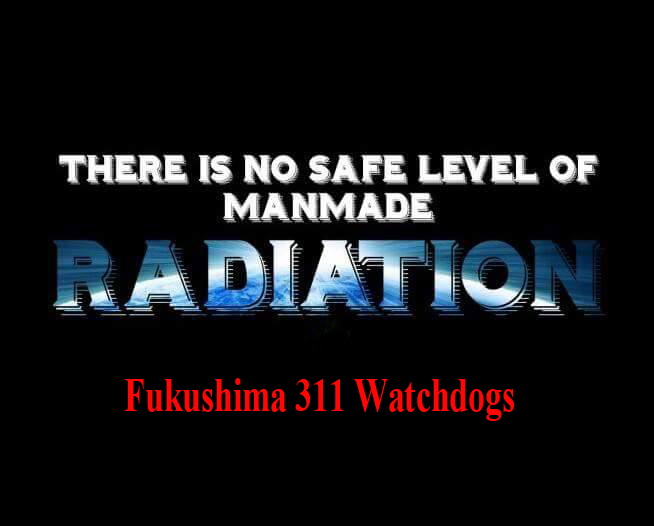 1 nuclear power plant disaster, as thousands remain unable to return to their homes near the shuttered facility. The hearing on Friday comes more than a year after ex-Tepco chairman Tsunehisa Katsumata, 77, former vice presidents Sakae Muto, 66, and Ichiro Takekuro, 71, were formally charged with professional negligence resulting in death and injury. The tsunami-sparked reactor meltdowns at the plant set off the worst nuclear accident since 1986’s Chernobyl incident. The trial follows a prolonged battle over whether or not to indict the Tepco executives. That decision compelled prosecutors to press on with the criminal case. If convicted, the men face up to five years in prison or a penalty of up to ¥1 million ($9,000). The three are expected to plead not guilty, and argue it was impossible to have predicted the size of the massive tsunami that slammed into the country’s northeast coast following a huge undersea earthquake. However, a 2011 government panel report said Tepco simulated the impact of a tsunami on the plant in 2008 and concluded that a wave of up to 15.7 meters (52 feet) could hit the plant if a magnitude 8.3 quake occurred off the coast of Fukushima. Executives at the company — which is facing huge cleanup and liability costs — allegedly ignored the internal study. Waves as high as 14 meters swamped the reactors’ cooling systems in March 2011. Although the natural disaster left some 18,500 people dead or missing, technically the Fukushima meltdown itself is not officially recorded as having directly killed anyone. The charges against the executives are linked to the deaths of more than 40 hospitalized patients who were hastily evacuated from the Fukushima area and later died. Around a dozen others — including Tepco employees and members of Self-Defense Forces — were injured during the accident. The disaster forced tens of thousands to evacuate their homes near the plant. Many are still living in other parts of the country, unable or unwilling to go back home, as fears over radiation persist. A 2015 report by the International Atomic Energy Agency said misguided faith in the complete safety of atomic power was a key factor in the Fukushima accident. It pointed to flaws in disaster preparedness and in plant design, along with unclear responsibilities among regulators. An angry public pointed to cozy ties between the government, regulators and nuclear operators as the reason for the lack of criminal charges. Campaigners have called for about three-dozen company officials to be held accountable for their failure to properly protect the site against a tsunami. The accident forced the shutdowns of dozens of reactors across the nation, with just a handful online more than six years later. Prime Minister Shinzo Abe and utility companies are pushing to get reactors back in operation, but they face widespread opposition as anti-nuclear sentiment remains high.